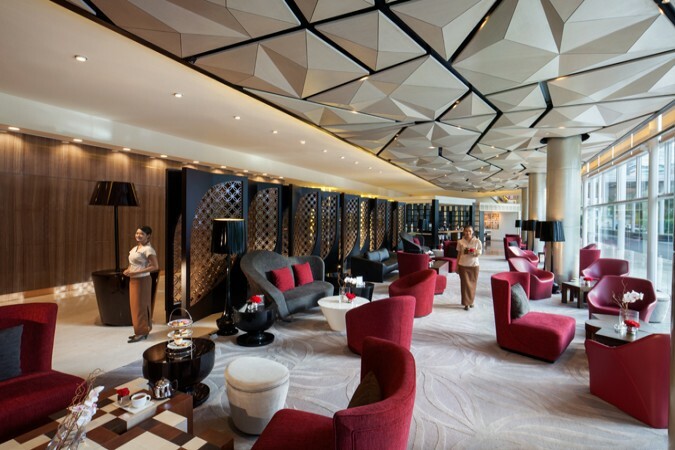 Located in the expansive and opulent lobby of Pullman Jakarta Indonesia, a plush and cosmopolitan hotel in the heart of Jakarta, LE CHOCOLAT is an impressive lounge and the perfect space to meet friends or colleagues over a selection of scrumptious snacks and drinks. 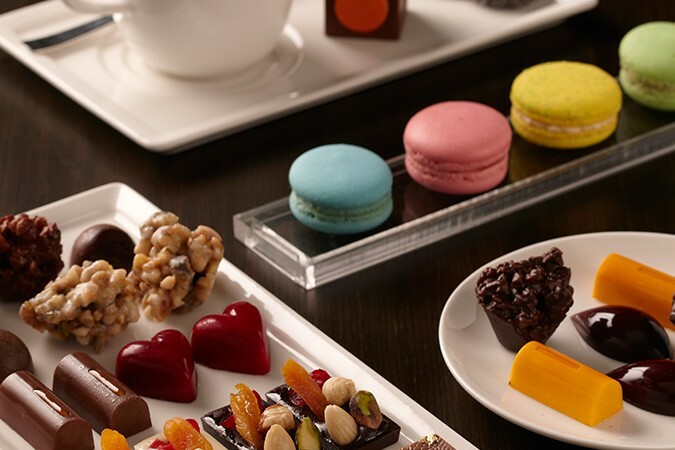 As the name suggests, guests will find a delicious range of chocolate-inspired pastries and macarons, as well as a selection of handmade truffles served with a cup of signature hot chocolate and a choice of different ganache flavours and levels of bitterness. If you fancy something stronger, then choose from the chocolate-infused cocktails, which include a mouth-watering chocolate and pear concoction that combines the complex flavours and aromas of chocolate with nutty hazelnut liqueur and the fruity notes of pear. Spacious and very comfortable, LE CHOCOLAT has relaxed seating for up to 100 guests.